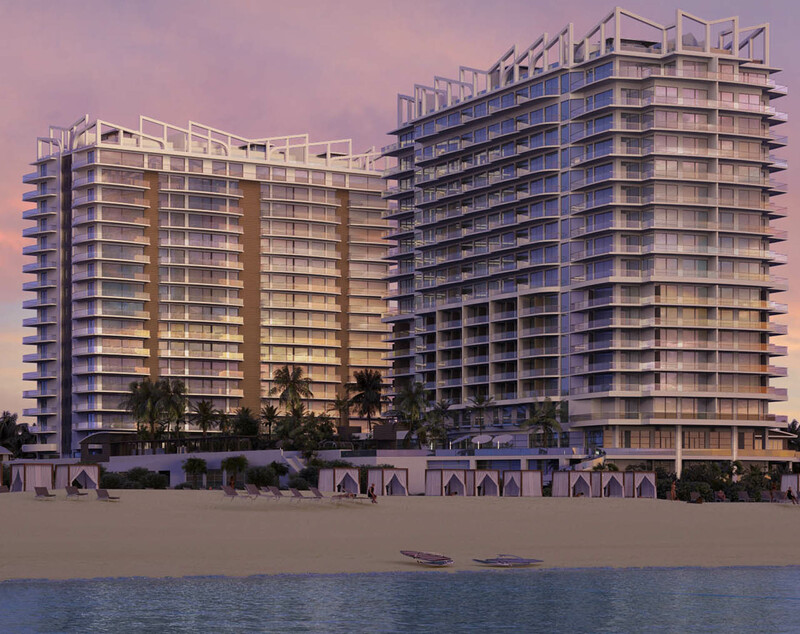 Rendering of Amrit Ocean Resort & Residences, at 3100 N. Ocean Drive in Singer Island. A life-altering condo concept has made its way to the shorelines of Singer Island in Palm Beach County. 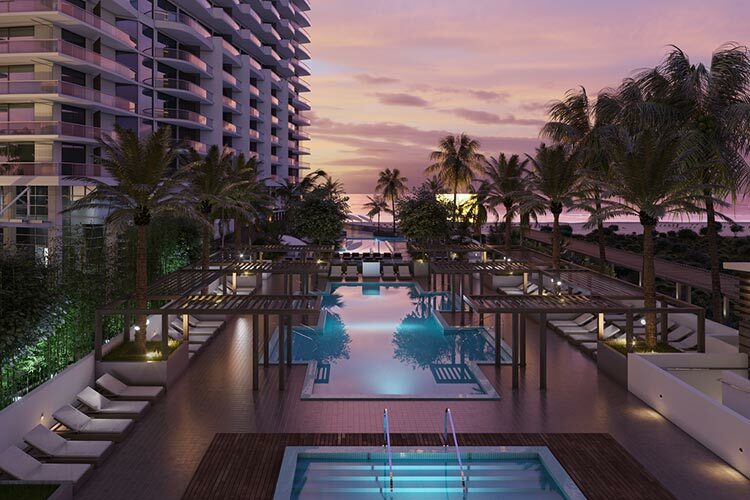 Amrit Ocean Resort & Residences, at 3100 N. Ocean Drive, will offer residents the opportunity to focus on wellness and provide the tools to live a more balanced lifestyle. It will be a resort-residential mix of 351 units, with residential prices ranging from $700,000 to more than $4 million, and is expected to be complete around the spring or summer of 2019. Composed of two towers — Tower P (Peace) and Tower H (Happiness) — Amrit will offer customized programs focused around five pillars of wellness: nutrition, fitness, mindfulness, sleep and relaxation. Tower P will feature resort-like amenities that residents can choose to include in their units such as vitamin C-infused showers, posture-supportive heat reflexology floors, mood-enhancing aromatherapy, and dawn simulation to gently increase the amount of light entering into the bedroom at a set time. Tower H will be a hotel-resident mix with access to a 100,000-square-foot indoor and outdoor spa, oceanfront restaurant, meditation garden, indoor/outdoor yoga studio, and private beach club. Examples of programs will include blue light education and technology’s effect on sleep; learning to live consciously; benefits of introducing spices into recipes; aromatherapy; and body and beauty treatments. Developer Dilip Barot, Indian-born real estate entrepreneur and founder of Creative Choice Group, said the concept for Amrit came from the need to find harmony and balance in his life. Each guest or resident will be able to meet with a personal wellness coach to discuss ways to improve life and how to do it. “The journey begins on arrival and whether you live, visit or want to be connected through our wellness technology app, we offer a custom mind-body experience that includes therapies, amenities, consultations and expert programming that aim to encourage a more positive, conscious life,” said Shama Barot, chief strategist of Creative Choice Group and Dilip’s daughter.